By Emma Galloway and published by Harper Collins. Along with children’s and young adult books, my other favourite books are recipe books. 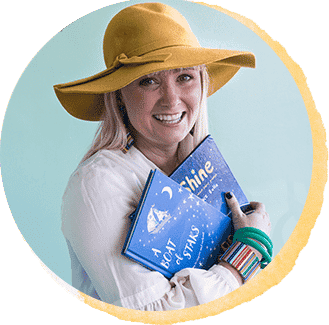 I take new recipe book purchases to bed with me and read them from cover to cover – then, feeling all inspired, I often jump out of bed to cook at 11pm. I also love reading food blogs, though I mostly still cook from a recipe book; I love food splattered pages and books which automatically open to a frequently cooked recipe. 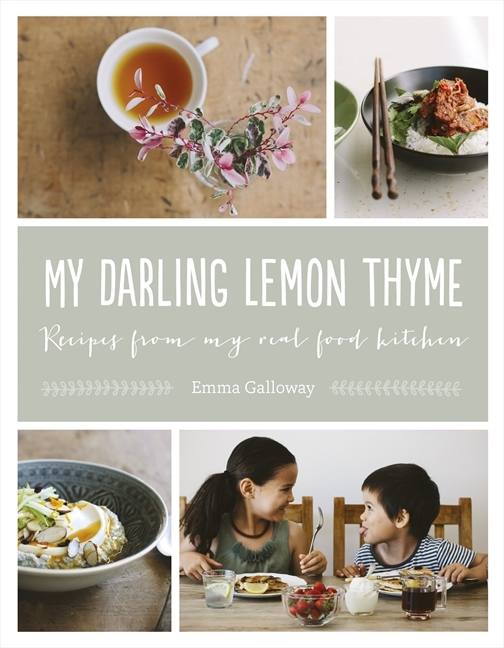 So I was beside myself with joy to learn that one of my favourite food bloggers was releasing a book, ‘My Darling Lemon Thyme—Recipes from My Real Food Kitchen’. I’m no food photographer or stylist but I took a few photos last night before quickly plonking the food on the table! Within 48 hours of owning this book I have made the recipes below (late at night after work – I’ll take food over sleep anyday!). 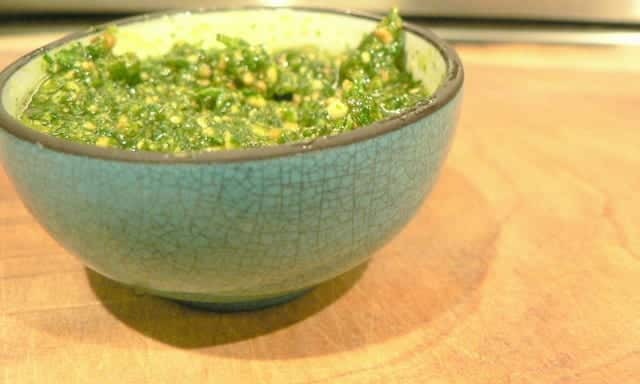 All recipes are gluten free and vegetarian – we are not gluten free and we do eat some meat but these meals are wonderful as is. Corn, coriander and feta muffins – one of the nicest savoury muffins I have had and it is a bonus they are gluten free. I served them with a tomato salsa and some vegetables and called them dinner – hey I was busy trying out recipes and there was no time for dinner prep. Dark chocolate, buckwheat and pear loaf – straight out of the oven served with leftover cinnamon butter I had made – this was dessert! My pear mix also had plums as I had so many overipe plums. Brown rice salad with spice roasted carrots, feta and pine nuts – had to use cashews as a certain 6 year old had demolished all the pine nuts. I’m a big fan of brown rice salads and this is now my new favourite – the carrots were gloriously fragrant when roasted with all those spices and the combination of flavours was perfect. 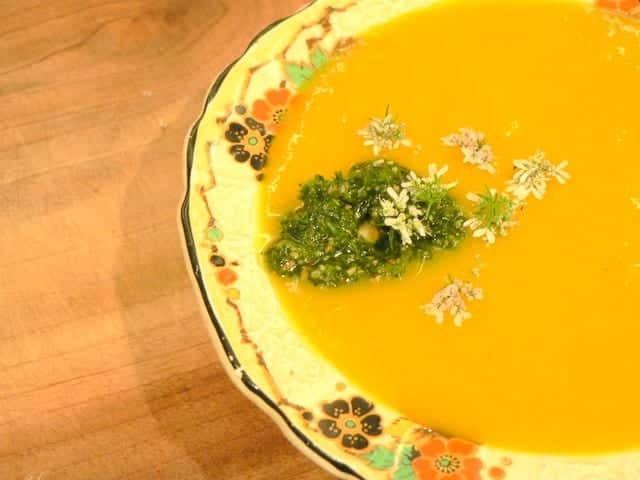 Carrot, cumin and red lentil soup with coriander cashew pesto – so ridiculously easy and simple ingredients. The miso in the pesto was outstanding. Perfect work lunch for the week. 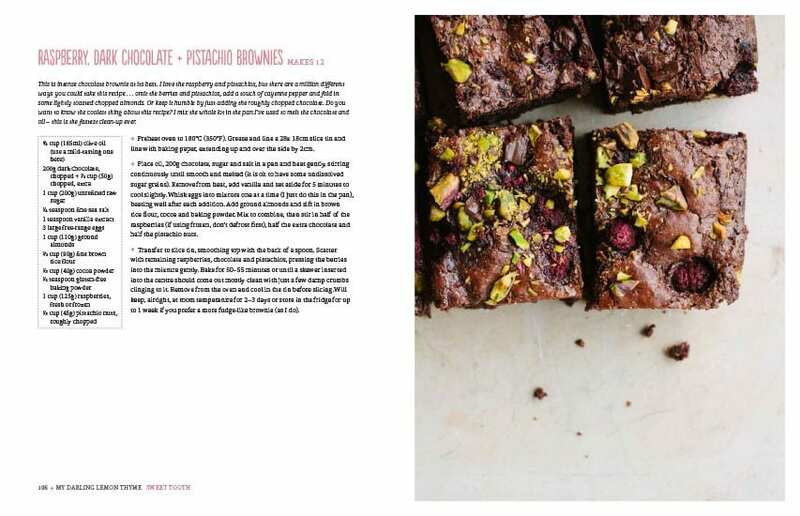 Chewy cranberry, millet and pistachio bars – without a doubt my new favourite ‘muesli bar’. These have a gorgeous mellow smoky flavour from the tahini and they set exceptionally well given they are a no bake recipe – the girls were most happy with their nut free version for lunchboxes. 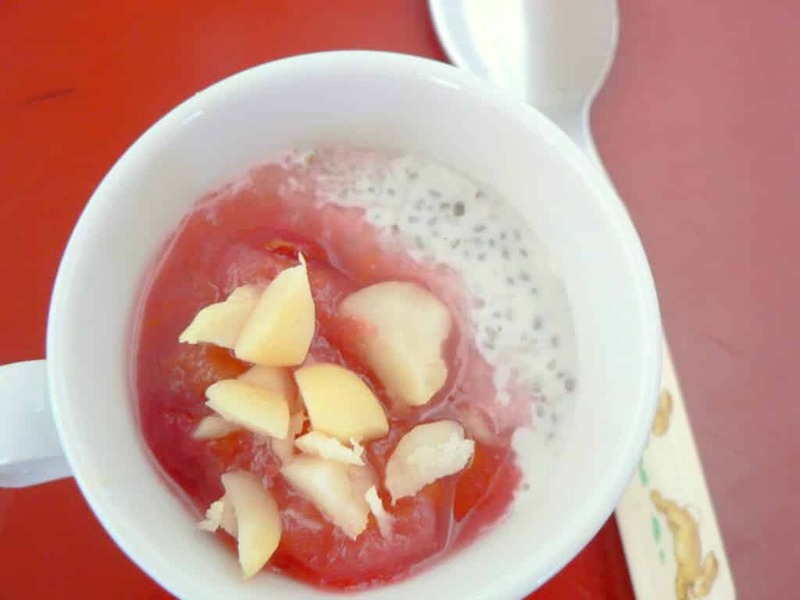 Orange cinnamon chia puddings – until now I’ve not attempted chia pudding but I had no idea how easy it was. I served ours with roasted pear and plum mix and macadamias. Dan and I loved this for breakfast – the girls I shall have to work on…the texture of chia seeds is certainly a new experience! 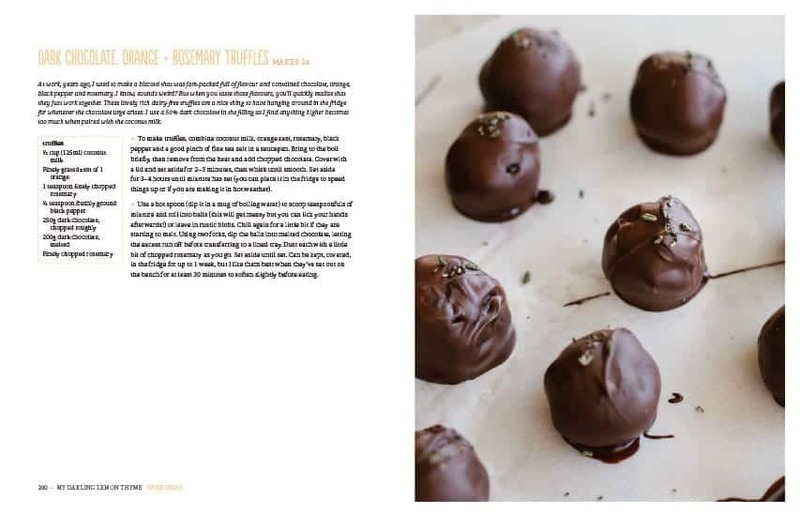 Harper Collins has done a beautiful job with the production of ‘My Darling Lemon Thyme—Recipes from My Real Food Kitchen’ – in keeping with Emma’s down to earth feel, the pages are matt and the styling and photography is simple and stunning. This is a cookbook worthy of coffee table display status, but it is also one you will actually cook from! Highly recommended indeed. A few inside images are below (sourced from booktopia.com) to whet your appetite! 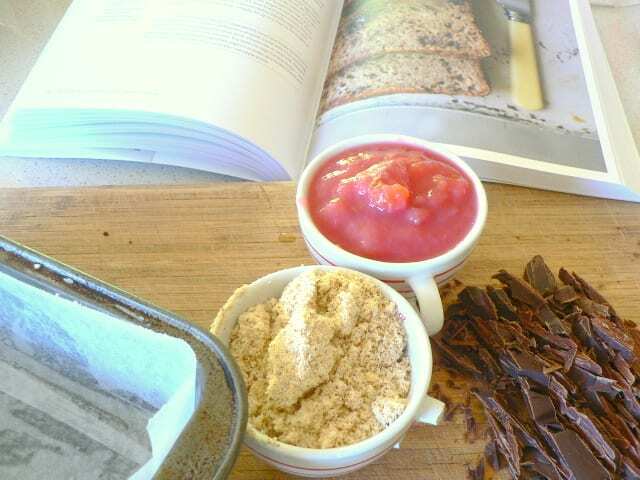 What is your favourite family cookbook at the moment? Thank YOU for such a wonderful book! Has kept me entertained with cooking for many a late night now! It’s really good Carla! The muffins didn’t last until lunch the next day! Ooooh, I do LOVE a good cookbook too! I find that recipes from a book are far more trustworthy than ones from the internet. I recently bought a copy of Donna Hay Modern Classics for a friend’s birthday present and I am going to buy a copy for myself to spend Sunday afternoons cooking up a storm! 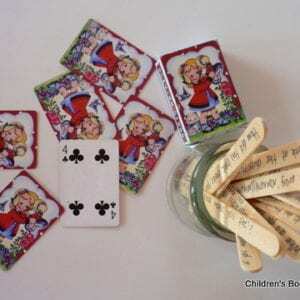 Yep agree Mairead – I have better luck with recipes from a book working! 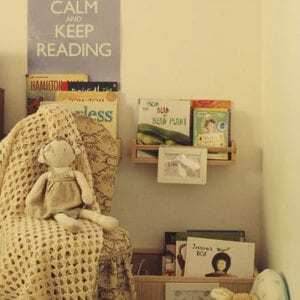 I think a book has more ‘authority’ behind it – says a librarian!!!! Wow, you have been busy Megan! Can’t believe you’ve cooked all of this already. A great review! It’s good to know that the ingredients aren’t hard to source, and if food is good, the fact it is gluten free, vegetarian, dairy free etc, is really an enormous bonus. I am starting to work my way through Claudia Roden’s ‘The Book of Jewish Food’ which I have on loan from Rachel Jones. It is big but full of so many stories as well as recipes. I don’t use many cook books as I find pinterest so handy for collecting recipes these days, but I do constantly have to run from the kitchen back to my computer to check the next instruction – which is not ideal. So perhaps I can justify this book for myself as a birthday gift. And I think it is great that you LIKE food splatters on your books. I cooked some Southern Indian food last night and the page was well loved like that. Food splatters mean a book is loved! The cookbooks that I have from my mum are FULL of food splatters so I always know which recipes she likes the best! I still cook many of YOUR mums recipes too!